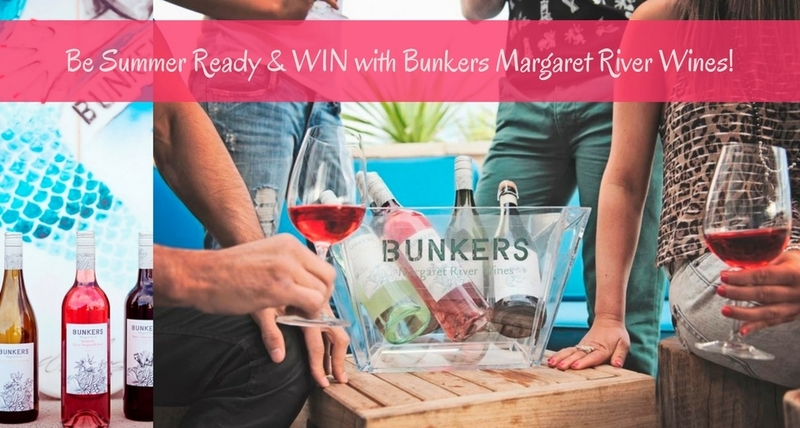 Bunkers Competition - Get Summer Ready & Win a Mixed Dozen from Bunkers Margaret River Wines! Bunkers brings together surfing AND wine - two of this area's greatest passions! The wines are all named after Margaret River's famous surfbreaks: Lefthanders, Supertubes, Honeycombs, Windmills, Guillotines, Bears and The Box make up the Bunkers range. From a zippy Sauvignon Blanc Semillon through to a Tempranillo, Bunkers produce a wide range of wine styles to delight. These are seriously well made wines…for people who love the summer lifestyle! One lucky winner will win a fabulous prize of a dozen mixed Bunkers Wines with everything you need for summer celebrations, backyard BBQs and beach picnics! Enter now for your chance to win a mixed dozen from Bunkers Wines worth over $260! Simply answer one simple question below and then enter your details to go into the draw! This promotion is in no way sponsored, endorsed or administered by, or associated with, Facebook. You are providing your information to The Fabulous Ladies' Wine Society & Calneggia Family Wines and not to Facebook. The information you provide will only be used by The Fabulous Ladies' Wine Society & Calneggia Family Wines for marketing purposes. We hope you are the lucky winner. We'll announce the winner after the competition closes on 29 November 2017. Why not find out more about Bunkers Wines?